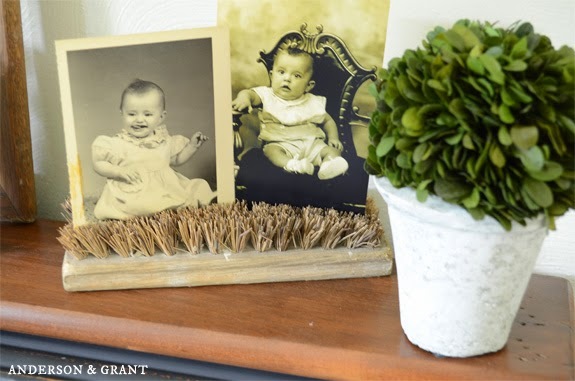 Do you love finding new uses for old things? That is part of the fun in hunting for vintage treasures.....seeing what something could be rather than what it is. My mind is constantly designing and creating, which is why I have such a collection of potential projects! There are so many things that people used in the past that can be repurposed for our needs now. One of the things that I didn't share with you before from my July shopping trip is this vintage scrub brush. It is old, worn, and no longer serves the purpose of scubbing the floor. Plus, it was a $1 at my favorite junk shop. I'll buy just about anything if it is $1. But I think it makes an adorable place to tuck in some photos, notes, business cards.....whatever you might want to see in a decorative way. And how much easier can you get? 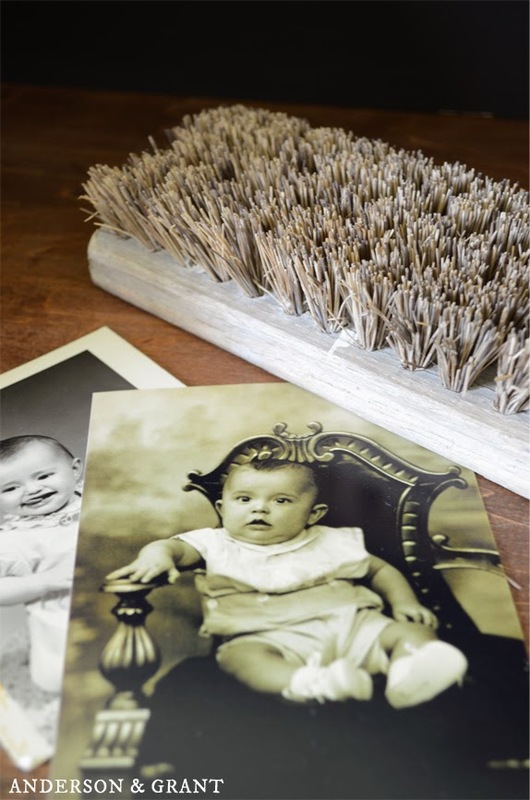 There is no more to do with this decorating idea than to simply tuck your photos into the brush's hard bristles. 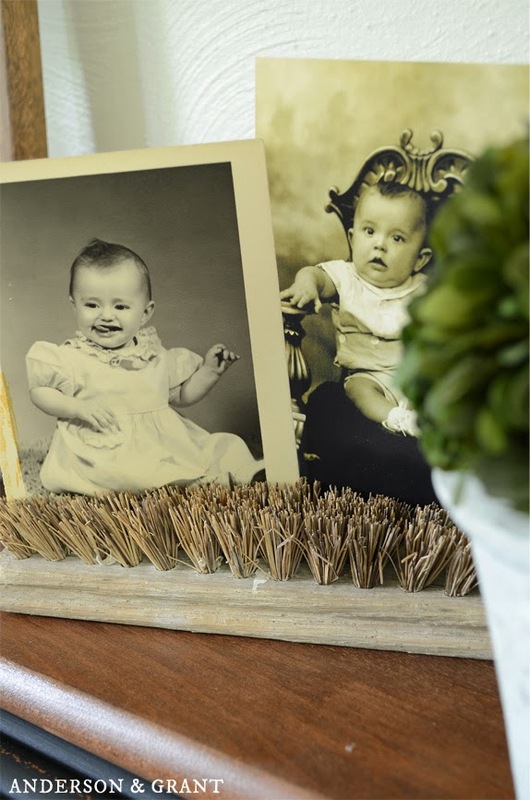 Instant decor for your desk or a shelf! What do you think?